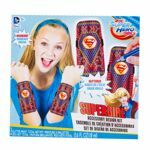 DC Super Hero Girls takes the world by storm! 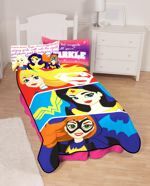 The all-new universe just for girls that harnesses the power of the world’s most iconic DC female Super Hero characters, including Wonder Woman, Supergirl, and Batgirl, DC Super Hero Girls soars to new heights as Warner Bros. Consumer Products (WBCP), in partnership with DC Entertainment (DCE), announces the powerful global expansion of the licensing and merchandising program at retail in more than 35 countries around the world, beginning this month. 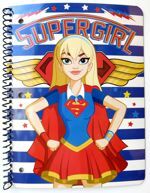 “With our best-in-class licensees and partners, we’re excited to bring this girl-empowered program to fans around the world and allow them to imagine, aspire and be strong, brave and powerful,” said Pam Lifford, President, Warner Bros. Consumer Products. 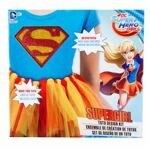 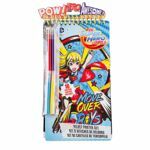 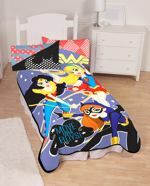 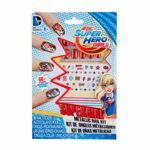 Anchored by master toy partner Mattel, the global launch of DC Super Hero Girls merchandise crosses more than 30 categories from toys to costumes, apparel to accessories, publishing to stationery, and more. 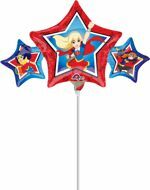 The impressive roster of licensees supporting the worldwide launch also includes Random House Children’s Books as master publishing partner, The LEGO Group as the exclusive construction partner, Rubie’s Costumes, Evy of California, Jerry Leigh, Party City, Hallmark, American Greetings, Franco Manufacturing, Funko, Buffalo Games, Crayola, PEZ Candy and many more. 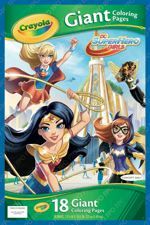 DC Super Hero Girls continues to have new content developed in collaboration with Warner Bros. Consumer Products, DC Entertainment, Warner Bros. 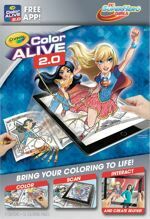 Animation and master toy partner Mattel. 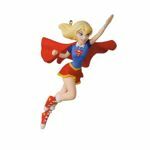 All-new content includes TV specials, made-for-video releases, animated webisodes and digital content, debuting locally in each market, as well as publishing, with the release of the first original graphic novel DC Super Hero Girls: Finals Crisis from DC, and the Random House Children’s Books middle-grade novel series with the second book Supergirl at Super Hero High, both out in July, and more to come. 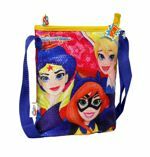 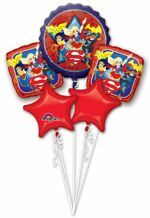 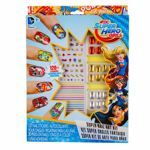 The expanded DC Super Hero Girls merchandise program brings an array of product with licensees from Europe, the Middle East and Asia (EMEA), Latin America, Asia-Pacific and more. 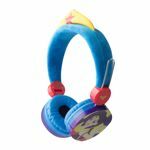 Licensees throughout the EMEA region include IMC for youth electronics and role play; D’Arpeje with an outdoor collection of scooters, skates, in-line skates and protective gear; Sambro with pocket money and creative play items; Character World with fun bedding; Pyramid bringing posters and gifting accessories; and Airval for personal care products including fragrances and bath gift sets; among many others. 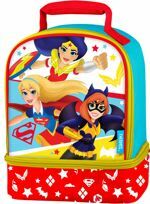 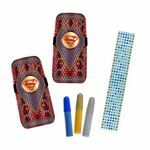 Latin America will see strong support for DC Super Hero Girls with key licensees from Mexico to Brazil to Peru and more, including Photo Pack with leisure luggage and handbags to pack and run; Regalos Siglos XXI with dinnerware for meals and snacks to always be super; Importadora y Exportadora Rosen with cool backpacks; Foroni with school-cool notebooks; Grendene with stylish sandals; and Riachuelo with an apparel collection including jackets, blouses, shorts, dresses and more. 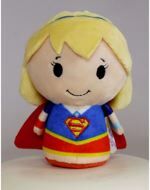 Asia-Pacific will also bring the super heroic program to kids and fans in the region with licensees from Asia, Australia, Japan and more, including the DC Super Heroes branded stores in China, Singapore, Malaysia, which will be carrying a range of DC Super Hero Girls-inspired kids apparel; as well as PT Rajapaksi Adyaperkasa with speedy footwear; and PT Indo Prima with houseware for kids to create their very own DC Super Hero Girls world. 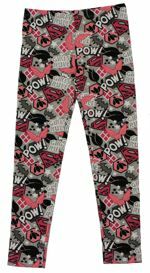 Additional licensees include Caprice bringing apparel, outerwear and houseware collections for kids; Mitch Dowd with super-sleepwear; and Hunter Leisure with more creative arts & crafts, stationery and sporting goods; and more. 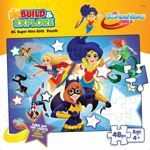 In March 2016, WBCP and DCE unveiled the first look at the DC Super Hero Girls licensing program, exclusively at Target in the U.S. DC Super Hero Girls made history with the announcement of its 6-inch action figure line designed for girls; the 12-inch collection of action dolls featuring strong, athletic bodies that stand on their own in heroic poses; and the collection of action role-play toys for girls, all from Mattel. 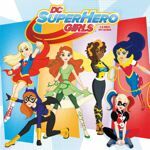 March also coincided with the debut of all new content, including the DC Super Hero Girls mobile app, which allows kids the opportunity to watch the animated shorts, play games, interact and connect with the DC Super Hero Girls world whenever and wherever they go. 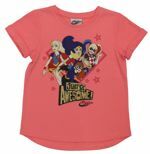 Additionally, the very first U.S. broadcast TV special debuted exclusively on Boomerang in March, with additional airings on Cartoon Network. 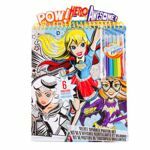 DC Super Hero Girls product will be available at retailers around the world beginning this month.